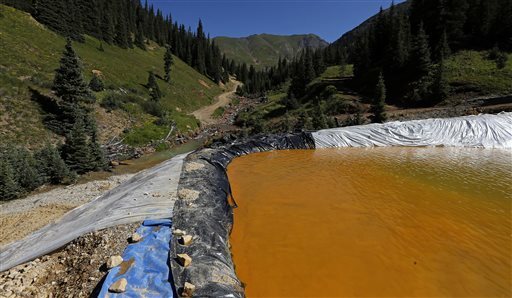 WASHINGTON (AP) — The inspector general for the Environmental Protection Agency is investigating the cause of a massive spill from an abandoned Colorado gold mine that unleashed 3 million gallons of contaminated wastewater into rivers that supply water to at least three states. EPA and contract workers accidentally unleashed 3 million gallons of contaminated wastewater as they inspected the idled mine. The spill released heavy metals such as arsenic, cadmium, lead and mercury into a tributary of the Animas River, turning the river sickly yellow and raising concerns about long-term environmental damage. The spill affected rivers that supply water for drinking, recreation and irrigation in Colorado, New Mexico and Utah, as well as the Navajo Nation. A diluted toxic plume reached Lake Powell, a huge reservoir 300 miles downstream that feeds the Colorado River and supplies water to the Southwest. The inspector general’s office said the investigation comes in response to a congressional request. Lawmakers from both parties have criticized the EPA’s response as slow and overly cautious. Leaders of oversight committees in both the House and Senate say they are planning hearings after Congress returns from its August recess. EPA Administrator Gina McCarthy has said her agency takes full responsibility for the accident and expressed deep sorrow for the environmental harm caused to the Animas and San Juan rivers. McCarthy traveled to Colorado and New Mexico last week following bipartisan pressure from congressional delegations in the two states. Lawmakers from Utah, Arizona and other Western states also have blasted the EPA for a response many call insufficient. “Among the most basic and simple questions that Coloradans want answered after the Gold King Mine spill are, ‘What is in the water?’ and ‘Is it safe?’” Sen. Michael Bennet, D-Colo., said last week. Bennet called the EPA’s initial response to the spill “too slow and inadequate” and said testing for water quality and sediment levels was proceeding too slowly. A spokeswoman for the EPA declined to comment Monday. But McCarthy said in Colorado last week that her agency will conduct internal reviews and hire an outside agency to conduct an independent review. “No agency could be more upset about the incident happening, more dedicated about doing our job and getting this right,” McCarthy said. Mine remediation operations throughout the country are being scrutinized to ensure they are being safely performed, she said. There are about 500,000 abandoned mines nationwide. The EPA has estimated the cost of cleaning up abandoned mines nationwide, not including coal mines, at between $20 billion and $54 billion. Officials in New Mexico have lifted water restrictions for the Animas and San Juan rivers imposed after the spill. The San Juan flows into the Animas and also was polluted. Colorado has reopened the Animas River to boating, while Utah has allowed San Juan River water to be used for crop irrigation and livestock. Meanwhile, the EPA released new data for contamination in the San Juan River between Farmington and Shiprock, New Mexico. The highest sample for total lead was 250 parts per billion on Aug. 8 west of Farmington, where the San Juan flows into Navajo lands, the agency said. That’s five times the federal drinking water standard for humans. The Navajo Nation is waiting for test results from its own Environmental Protection Agency before deciding whether to declare the San Juan River safe for use. Navajo President Russell Begaye has advised tribal members not to let livestock drink from the river and to shut off irrigation systems fed by the river, but the tribe has not physically barred anyone from accessing the water. Spokesman Mihio Manus said officials have drawn samples from the part of the river that runs through the northern portion of the reservation, but he wasn’t sure when tests would be complete. Associated Press writers Felicia Fonseca in Flagstaff, Arizona, and Michael Biesecker in Washington contributed to this report. 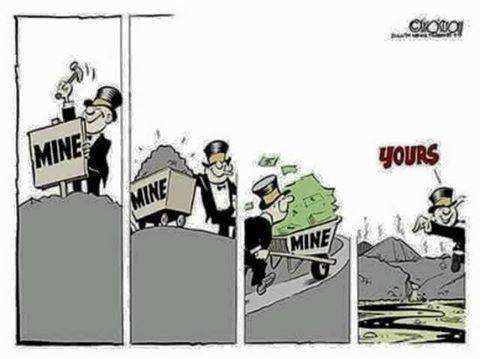 shame on those liberals for trying to clean up these mines. These mines aren’t hurting anyone. why can’t those mean old liberals just leave the poor things alone?! I told you before fun bag this situation is nothing to joke about. Your attempt at humor is in very bad taste. They were not cleaning up the mine. They were stupidly messing around with the mine. Their words of I am sorry are very hollow. You are not affected by this tragedy therefore you think there is humor in it is that it? This is how funny the people affected by this spill think it is. This is not a liberal verses republican problem this is total rotten incompetence and corruption in the government. They don’t give a rat’s back end for the people they abuse and hurt and steal from. R party and D party are just names the crooks hide behind. They are the worst kind of people. I’m trying to image living in your world “NATIVE BORN NEW MEXICAN”. A place where up is down and white is black. NBNM happens to be correct on this. Things were fairly stable with the mine compared to what the EPA caused, and after years of trying to turn it into a half-billion dollar superfund site (unsuccessfully) they just waltzed in and pulled the plug out, without considering what would happen if they did. A local (to the mine) geologist with 47 years experienced laid out their playbook a week before they did it and predicted the disaster (http://www.silvertonstandard.com/news.php?id=847). The EPA ~IS~ corrupt, you accept the government at face value (the Fed is looking out for our financial needs, the EPA is looking out for the environment, the IRS fairly and honestly collects taxes, etc, etc), so his comment seems odd, but it’s right on the money (literally). EPA has its good days and its bad days, just like any large bureaucracy. The important question is: are we better off with or without it? Improvements in clean air, clean water and clean soil have not happened in the absence of regulation. Industry does a mostly poor job of self regulation. The paranoid right-wing narrative is that the EPA is the boogeyman that kills jobs, economies and lives. Nonsense! You are being played by irresponsible industry executives and stockholders who want to transfer one of the costs of doing business — cleaning up after themselves — from private industry to the public at large. This mine disaster would not exist if someone hadn’t walked away without remediation. Go ahead and play the dead ender with no plan other than to shut down government. You’re not proposing a solution to the problem, you’re just venting your spleen. You, and the politicians you support, disavow government and therefore have no interest in fixing it. You’ll get no argument from me if you say federal bureaucracy is bloated, wasteful and in need of fixing. Where you lose me is when you claim it just needs to be shut down and then we’ll all live in paradise. I’m opposed to corruption, not government. That means I’m also opposed to many corporations and the fact that they’re in bed with (or pulling the strings of) politicians. I’m opposed to federal government corruption, state government corruption, local government corruption, and business corruption. Part of corruption is straying way outside of the stated purpose and proper role. The states created the federal government to do A, B, and C, but instead the vast majority of their time is spent seizing power and doing X, Y, and Z. I oppose it anywhere I see it. I’m a conservative, but I’m very opposed to the Utah GOP (corrupt) and both parties in DC (corrupt). I’m a conversationalist (not an environmentalist, who worship the environment), but oppose the EPA much of the time because it’s a bloated, corrupt, inconsistent, and overbearing organization that doesn’t even stay close to staying within its mandate. I have to agree with NBNM on this issue. I said before fun bag the mine is 100 years old. This is not a modern, recently caused problem. The EPA caused the mine to flood in order to create the problem that has happened for it’s self serving reasons. The water backed up in the mine because of the EPA’s actions. Read the information Brian posted. The EPA did this on purpose. Bad, bad EPA! Complete and utter nonsense NATIVE BORN NEW MEXICAN. Seems our friend “Bender” is quite busy on yahoo, too. He is not hard to find. He goes by the name of Bender (hee hee). And he comments very, very, very often. Just check out any story on the LDS religion, like the recent one from Rueters. Amazingly enough, many of his comments match up with many “other” posters on this site. Coincidence? You got your BENDERs confused BOOGEYMAN. This BENDER is BENDER only on stgeorgeutah.com. Any other BENDERs are BENDERs operating as BENDER independent of this BENDER. BENDER hopes that this BENDER clarification resolves any confusion concerning BENDERs using the name BENDER. Bender for Secretary of State!